Product prices and availability are accurate as of 2019-04-19 02:44:31 UTC and are subject to change. Any price and availability information displayed on http://www.amazon.com/ at the time of purchase will apply to the purchase of this product. 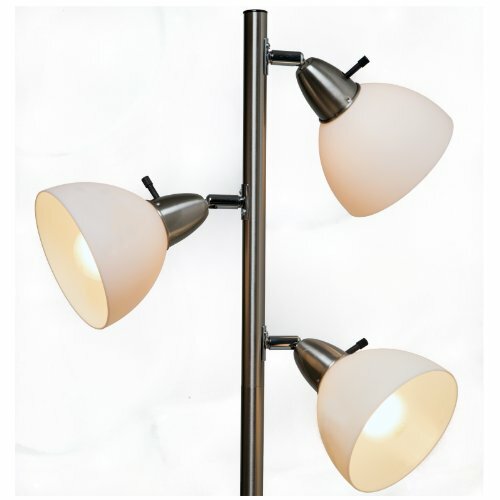 Boston Harbor Tree Lamp, 3-Light, Adjustable, 60 W, A19 Bulb, Arbitrary Shape, Satin Nickel Lamp, Spot Beam, 45 deg Pivot, 350 deg Rotate Beam, 65 in Height, UL Listed. Boston Harbor 3 Light Satin Nickel Tree Lamp. The three light tree lamp is the perfect lighting to use for any room. 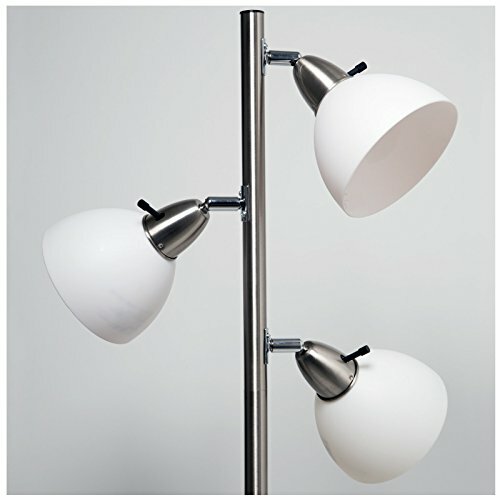 The lamp stands at an overall height of 65" is easy to assemble. Finished in satin nickel with three adjustable spotlights. The spotlights can rotate 350 degrees and pivot 45 degrees to provide light wherever you need it. Each light has its own on/off switch. Uses three 60 watt maximum A19 incandescent bulb (sold separately).